In recent years, we have written several times about the complex legal issues raised in copyright lawsuits involving high-profile appropriation artists like Richard Prince and Jeff Koons. This summer, we and the rest of the art world will be watching as litigation proceeds involving one of the most iconic artists of the last half-century—Andy Warhol. 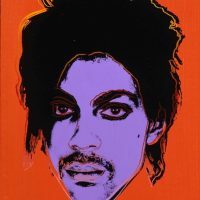 Last month, the Andy Warhol Foundation for the Visual Arts filed a preemptive lawsuit regarding Warhol’s appropriation of a photograph of the late musician Prince Rogers Nelson, also known as Prince. The Foundation’s counterparty is Colorado-based photographer Lynn Goldsmith, who, in 1981, took a photograph of Prince. In 1984, Warhol created a series of portraits of Prince that, according to the Foundation’s Complaint, “drew inspiration from and transformed a publicity photograph of Prince in circulation at the time.” One of those Warhol portraits was then published as part of a 1984 Vanity Fair profile of Prince. The Complaint contains four separate requests for declaratory judgment, asking the Court to declare that: (1) Warhol did not infringe Goldsmith’s copyright; (2) Warhol’s use was fair use; (3) Goldsmith’s claims are barred by the statute of limitations; and (4) Goldsmith’s claims are barred by the doctrine of laches. On the laches issue, the Complaint urges that the Foundation has been prejudiced by Goldsmith’s delay in asserting her claims, particularly given that Warhol himself is now deceased and documents related to his creation of the Prince series may now be unavailable. In addition to the requests for declaratory relief, the Foundation seeks to recover its costs and attorneys’ fees in the case. Goldsmith’s counsel has indicated that she plans to file an answer and a counterclaim for copyright infringement in June. See Docket No. 17-cv-02532 (S.D.N.Y.). However, Goldsmith told Artnet that she thought that she and the Foundation had been close to a settlement before the Complaint was filed. She also says she was unaware of Warhol’s use of her photograph until after the singer’s death last April, when she came across Warhol images on social media and noted their similarities to her photograph. It seems clear that this case could entail further exploration of the fair use defense to copyright infringement, which has been a hot topic in federal courts in recent years. It’s also possible, however, that the Court might resolve the case on the basis of the timeliness issues, which could obviate the need for a ruling on the fair use issue. We’ll continue to follow the suit as it unfolds.